In the NBA, playoff basketball is always the most exciting to watch. After the long 82 game season, it all comes down to a series of 7 games (if needed) for each round to determine who wins the championship that year. While the first and 2nd rounds have a tendency to leave us with shock and excitement, it's usually the NBA Finals that gets all the credit. What about the 3rd round? The Conference finals? 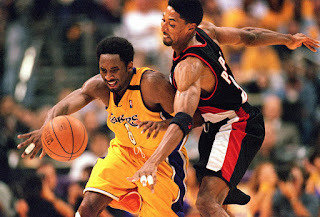 The Conference Finals has seen some amazing games and tough series over the years, so as we near closer to the 3rd round currently in the NBA playoffs, I wanted to look back and list some of the best Conference Finals series (in no order). Let's get into it. -This was a true series run on high scoring, as both teams put up 100 points or more in every game, except for Detroit in game 1. The Pistons would score 145 in game 4, proving the ability to get the job done, but it would not be their year yet. The Pistons were inching closer to being the new dominant team of the Eastern Conference, and I think this was the turning point. 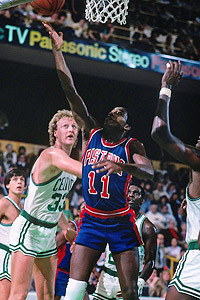 The Celtics pulled out a 7 game series win, but this would be the end of their reign, as the Pistons would end up defeating the Celtics in the Conference Finals the following year, starting a run appearing in 3 straight NBA Finals and winning the NBA Eastern Conference Championship three times in a row following this series/season. -The Lakers were seen as an unstoppable team at this point honestly. 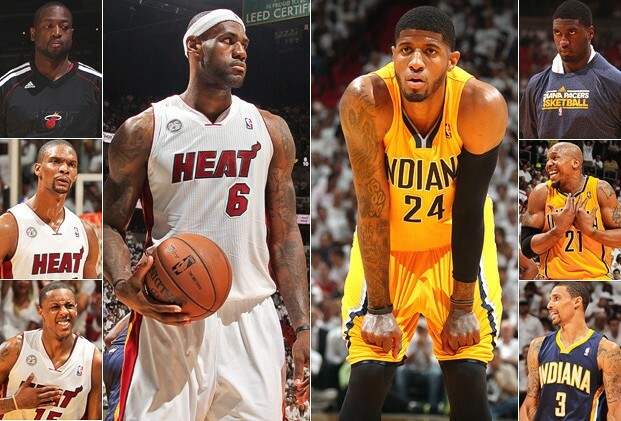 They were firmly in the Showtime era and asserting their dominance throughout the season and of course the playoffs. They were truly battle tested however in this Conference Finals against the Mavs, as the Mavericks took them to the limit. The Lakers managed to squeeze out a 7 game series victory and eventually go on to win yet another championship, but there were moments where it looked like the Mavs would put an end to those title aspirations. 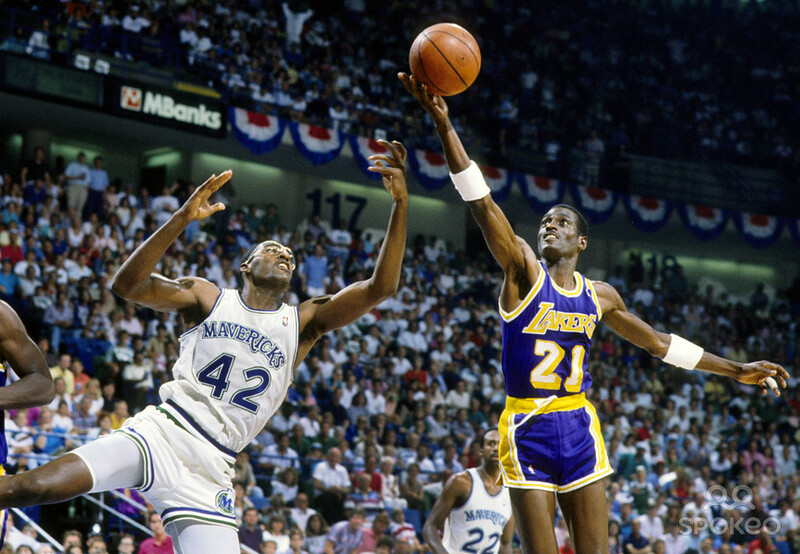 On paper, you'd think a Lakers team with Magic, Kareem and James Worthy battling against a Mavs team led by Rolando Blackman, Sam Perkins, and Mark Aguirre should end in a sweep, but the Mavs were on a roll here. They lost the first two, took two commanding wins at home, then forced the 7th game, weakening the Lakers for the Finals a little bit. This is a truly slept on series in NBA history. 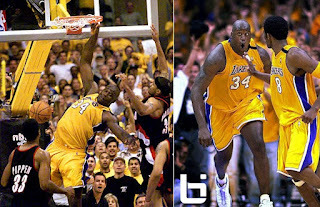 -This is the series that I believe motivated Michael Jordan the most to become a champion and the greatest of all time. When 1990 rolled around, Jordan was the best player in the game. He was the man, he was the best scorer in the league, the most exciting player in the game, and he had one roadblock the last few years before arriving to this Conference Finals battle: The Pistons. The Bad Boys. Jordan just couldn't manage to get beyond the Pistons. No other team could really stop Jordan, but the Pistons had his number, easily defeating the Bulls in prior years. This one was different. The 1990 Conference Finals saw Jordan seemingly have the Pistons figured out and he pushed them the hardest he could in this series. 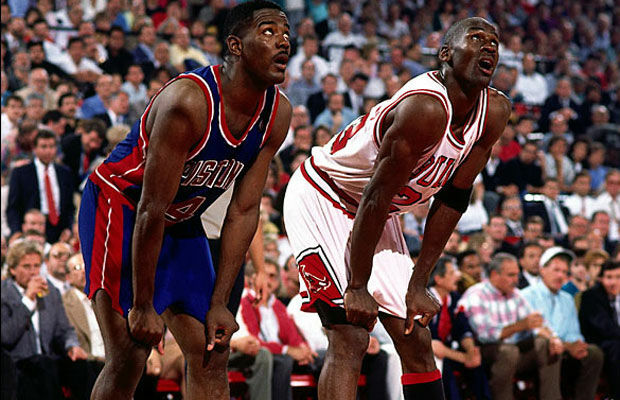 Jordan had 32.1 PPG this entire series, but it wasn't enough to push them beyond the Pistons. The following year, Jordan would exorcise his Pistons demons and begin his era officially. -The Suns were a team of destiny. 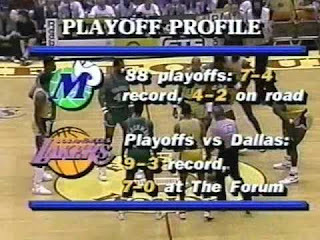 The Sonics were a truly exciting team to watch. This series is a bit controversial for its game 7, which saw the Suns win by 13, but shoot a whopping 64 free throws on the night, which was extremely high, especially compared to the Sonics only having shot 36 free throws on the night. Some would say the refs might have tilted things in the Suns favor during the night, especially considering the physical nature of the game then. 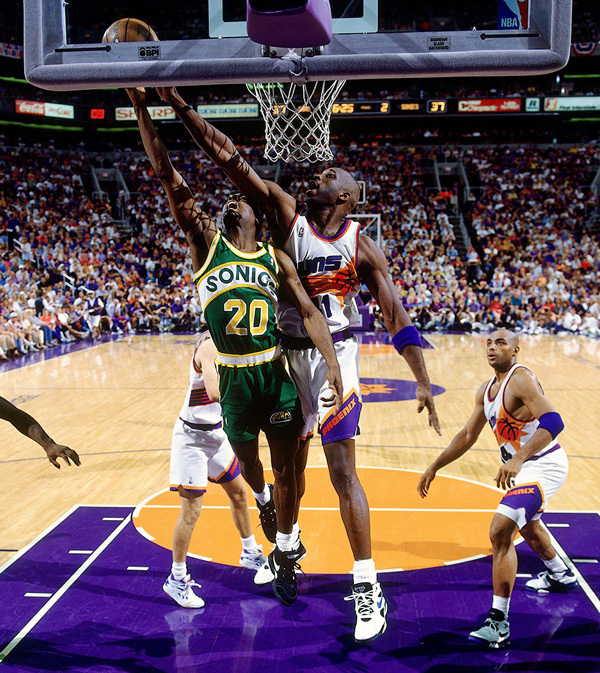 That's up for debate, but regardless, besides game 7, this series was a classic case of back and forth, with Barkley leading the Suns to the promised land while the often underrated Shawn Kemp would go off on defense, averaging 3.4 blocks a game in this series. One thing that has to be spoken of is the fact that Barkley put up an amazing 44 points and 24 rebounds in the deciding game victory, truly living up to his title of MVP that season. Though the championship wouldn't come home to Phoenix with him. 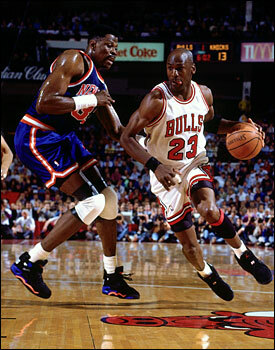 -The Bulls vs Knicks in the 90's was a classic rivalry. 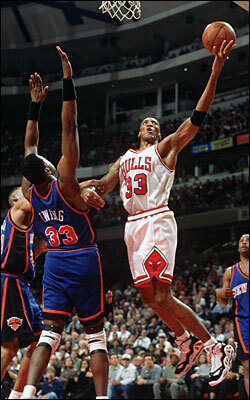 The Knicks couldn't seem to get beyond the Bulls and the Bulls always had their number in previous years. In 1993, it seemed as if the Knicks would finally get the job done and move on to the championship. The Knicks were actually favored to win the series and ended up taking a 2-0 lead over the Bulls, but this is prime era Michael Jordan and the Bulls we're talking about. The Bulls came back and convincingly won games 3 and 4, before edging a close game in game 5, then finishing the job with a game 6 victory. This would be the game that signaled the final path of the elusive 3-peat, as the Bulls defeated their nemesis the Knicks on the road to winning their 3rd straight NBA Title. This series has a lot of infamous moments, like John Starks and "The Dunk", Charles Oakley not being able to get a game winning put back after multiple attempts, and of course the theatrics of Jordan. A truly classic series. 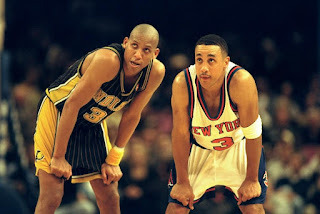 -The Knicks and Pacers rivalry is one of my personal favorite in basketball. This was an interesting back and forth series, with more memorable moments along with just great games. 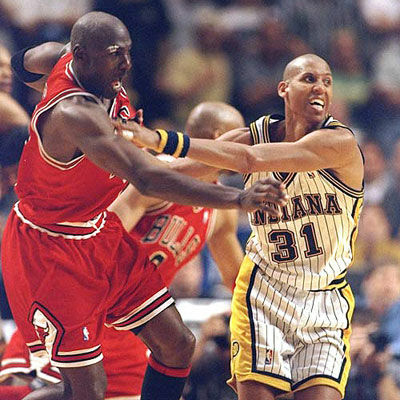 Game 5 might be Reggie Miller's greatest highlight as he put up 25 points in the 4th quarter and some amazing three point shots to give the Pacers a win. Not to mention, the trash talking between Spike Lee and Reggie is still iconic. The Knicks were down 3-2, but managed to pull out a win in 7 games. 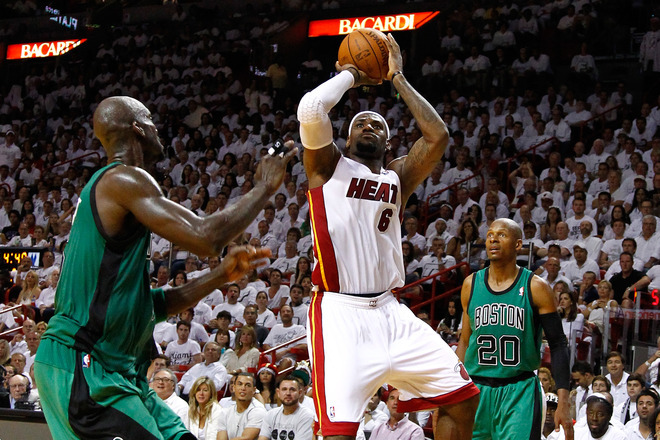 The series was heated, intense and everything playoff basketball should be. -The Rockets were the team to beat in the Jordan-less NBA era of about 2 years. 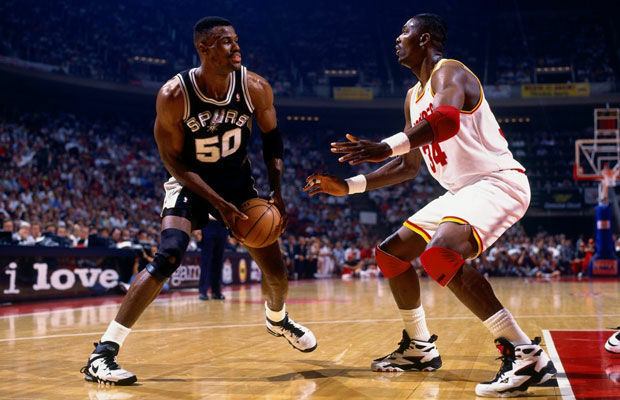 David Robinson was the MVP of the season and for once in my life, I wanted the Spurs to win the series and make the Finals. However, the Rockets were just too good. Hakeem was just too good. The Rockets took games 1 and 2, before the Spurs answered back with game 3 and 4 wins, but the next two games saw the Rockets escape with a victory to make the Finals yet again and win their 2nd straight championship. This series was just fun to watch due to the competitive drive between the Admiral and the Dream. -The Jazz and the Sonics were the top 2 teams to me in the Western Conference as the Rockets era ended. 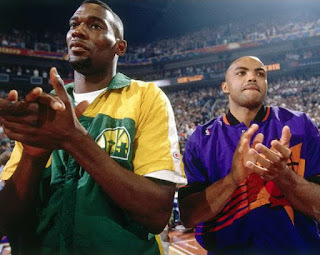 The late 90's saw these two teams as the new dominant forces and they would clash in a 7 game series that saw the Sonics pull out a victory and a NBA Finals appearance. 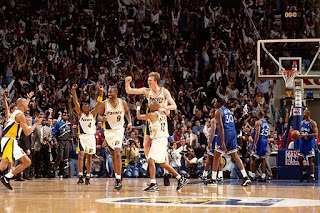 Kemp and Payton vs Malone and Stockton was something that should be remembered, especially for the heart of the Jazz to come back from a 3-1 series deficit and push a game 7. 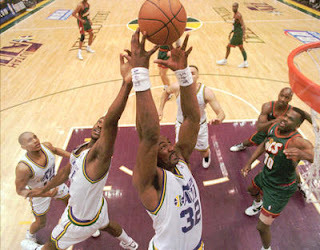 Game 7 was close as well, as the Sonics ended up getting a victory 90-86, but the Jazz had nothing to be ashamed of. It was a solid effort. -Nearing the end of his 2nd championship 3-Peat run, Jordan and the Bulls had a big obstacle in the hungry Pacers, who really wanted that NBA Finals appearance. The Pacers had been in the Conference Finals a few times before and just couldn't get over that hump, and this would be no different for them. The Bulls and the Pacers went 7 games, but the Bulls managed to walk away victorious and go on to earn their 3rd straight title and their 6th championship in 8 years. The true definition of a Dynasty. 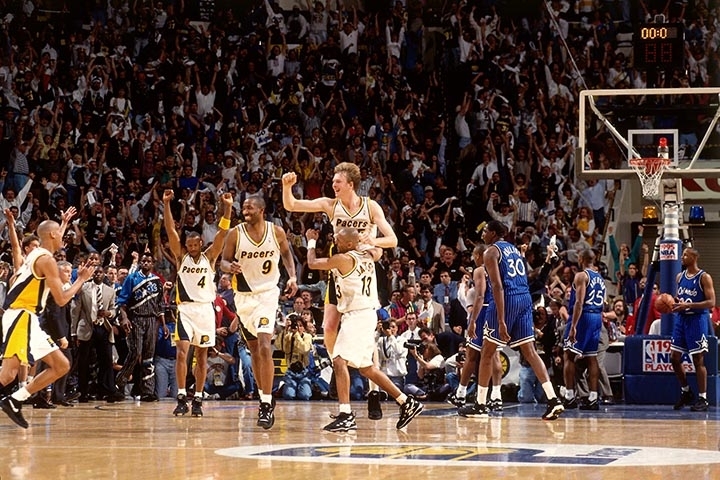 However, some should write an article on the Pacers and how they made the Eastern Conference Finals tons of times in the 90's before finally getting to the NBA Finals in 2000. Oh, wait.... I could do that. -This series was something special. The Lakers were a dominant team during the regular season. In the playoffs this year, they would face a strong willed Blazers team who came back from a 3-1 deficit to push a game 7. It looked as if the Blazers were about to knock the Lakers out of the playoffs and make the Finals, but the Lakers got things together and made a comeback after being down 15 points, capped off with one of the most famous alley oops in history from Kobe to Shaq. The Lakers pull out a 7 game series victory after almost blowing a 3-1 series lead. The Lakers would go onto start their own dynasty, which faced another roadblock some years later actually. 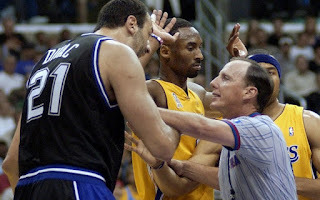 -The Kings vs Lakers rivalry was one of greatness, though the Lakers always seemed to come out on top. 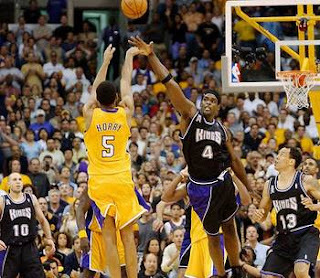 This series would be no different, as the Lakers won in 7 games, but this was the toughest challenge they faced from the Kings. The series was controversial as usual, as many felt game 6 was tilted in favor of the Lakers to force a game 7 and while the series was close throughout, there was some belief the NBA screwed the Kings over. Whether or not that's true is up for debate, but the Kings pushed the Lakers to the limit and almost took game 7 before the Lakers managed to do work down the final stretch to ensure a victory. The Lakers vs Kings is a storied rivalry as I said, and I think this might be the best chapter of that rivalry. 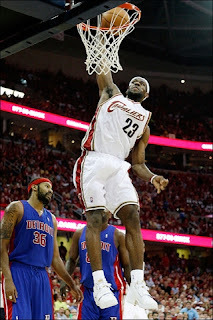 -Before Lebron could make his first NBA Finals, he had one big obstacle in his way and that was the consistent Pistons team during the mid 2000s. This was the series where we saw what Bron was capable of after he passed up the opportunity to hit a game tying shot in game 1. He proved he wasn't truly deserving of some of the criticism he got, and he won his first of many Eastern Conference Championships. However, the Cavs would run into a wall called the San Antonio Spurs in the Finals. 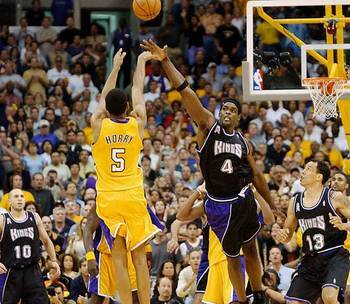 -Kobe and the Lakers were coming off a huge championship season the year prior. The Suns had become the Lakers' rival in the late 2000s, with Steve Nash seemingly stealing a MVP title away from Kobe as well during the 2006 season (I don't care... Kobe should have won). 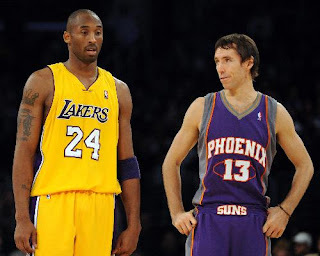 This was the last big meeting between the two teams and the Lakers ended up taking this one in 6 games to move onto the Finals and win another championship. -This is a series for the ages. Honestly. The two top teams in the East during the early 2010s. The Celtics were seen as being beyond their prime and old, but this series proved they weren't at all. After losing games 1 and 2, the Celtics put the Heat on the ropes, by taking games 3, 4, and 5. Regardless, the Heat would come back and gain decisive wins in games 6 and 7, but the fact that the Celtics pushed them to 7 games said something. Lebron and the Heat gained more toughness and tenacity from this series, and in essence it might be the most important non NBA Finals series in Lebron's career. 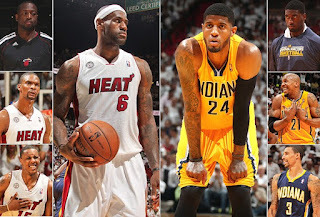 -The Pacers became a big rival of the Lebron/Wade/Bosh led Heat team and pushed them to the limit twice in the Conference Finals. This was just the tougher series of the two. In both 2013 and 2014, these teams met in the Conference Finals, both with physical results and both being tough series. 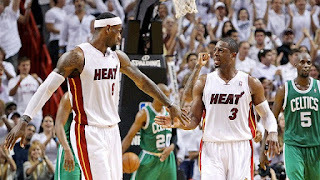 This one went 7 games, ending up with Miami pulling out the victory in the series. 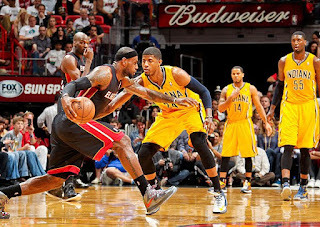 Roy Hibbert was surprisingly the leading scorer in the series for the Pacers and he played tough, forcing the series to go to 7 games, but game 7 would be a near blowout as the Heat won 99-76 to send the Pacers home. Are there other series that we missed? Let us know in the comments below. Hopefully we will have to add other series to this list after this season. That remains to be seen.